Not only are they Leila’s favourite fruit but they make amazing muffins and considering that of ALL fresh fruits, the humble Blueberry has the highest antioxidant capacity. You’d be doing yourself a massive favour by devouring as many as you can get away with before you run out of ways to kid yourself. For the sake of our skins, I thought I’d share the blueberry muffin recipe I went overboard on last weekend. It’s quick, easy and very, very moreish. Oh yeah, and healthy. Honest. This recipe makes 6 GIANT (coffee shop style) muffins… because I don’t do things by halves. If you want a great silicone muffin tin, I really recommend these. If you want one of those mini-muffin tins, get. off. my. blog. 1. Pop your muffin liners in your tin and pre-set your oven to 150 degrees celsius (fan oven). 2. Place the flour, sugar, baking powder and salt in a mixing bowl and combine the dry ingredients well. 3. In another bowl, combine the eggs, milk and melted butter. 4. Pour the combined wet ingredients into the combined dry ingredients, stirring only until all flour is combined. Do not over-mix. 5. Add the blueberries, again, stirring just until incorporated. 6. Divide the batter between the prepared muffin cups and bake the muffins for 35 minutes or until golden. Test that they’re done by inserting a toothpick or similar into the center (it should come out clean). I liken mini muffins to dark chocolate. If you’re going to have a treat, make sure it’s a treat. Since when has dark chocolate ever pleased a lover of kiddy milk chocolate? If you’re calling yourself a treat, you better be something I like. Anyway, I’m a bit suspicious of blueberries. Every time I buy them, their taste varies. Sometimes I get really nice sweet ones, then I get ones that are really bitter and then I get (my favourite) the mixutre of sweet and zingy. You are making me very hungry!! Love blueberries! 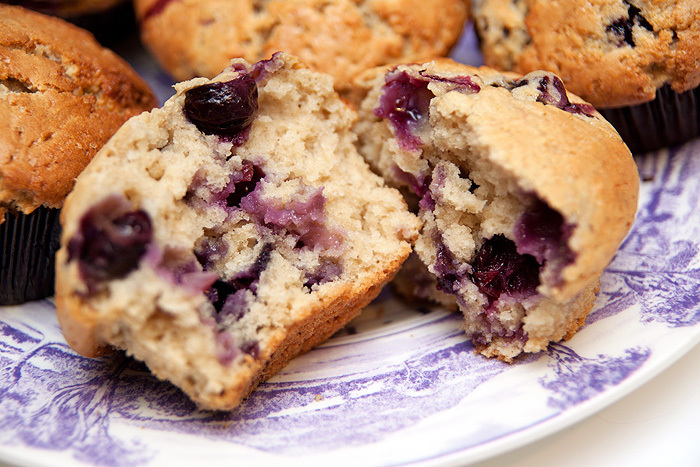 I love blueberry muffins, and I am convinced they are healthy as they have fruit in them. Logic right? A good tip for the blueberries is to shake them in some flour before adding to the mix as it stops them sinking – not that yours have – lucky! Also an overly generous sprinking of a mix of demerara sugar and cinnamon on the top = delicious. Those look sooooo delicious. What I wouldn’t give for a blueberry muffin right now! Yum…they look delicious! 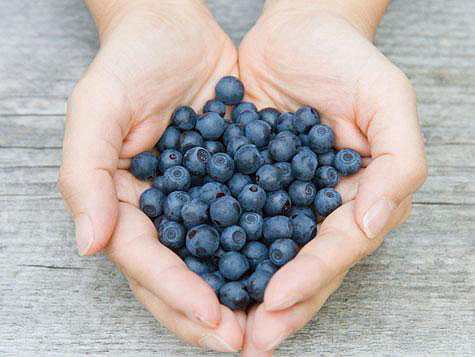 I love blueberries – have been devouring boxes of them lately! Oooo yum. I’m not much of a cook myself, buy these look amazing and the step by step guide looks pretty easy to follow. I can’t wait to try these out! 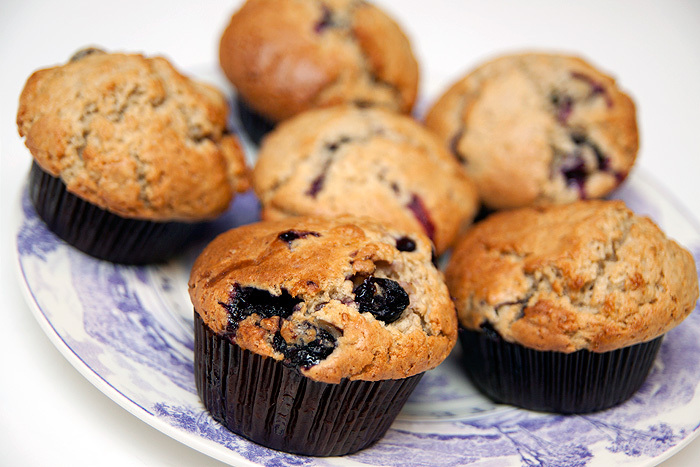 Bluberry muffins are my favourite and these look AMAZING! I made these yesterday from a batch of fresh from the farm bluberries. While mine didn’t turn out as golden as yours (my oven’s a piece of crap), they were delicious!